There are so many articles about preparing for a baby – so so many. They are generally accompanied by blissful photos of mothers (beautifully dressed, make up wearing mothers I might add) relaxing in a rocking chair with a sleeping baby. As a blissfully happy pregnant woman I read all these articles and figured that I was as prepared as I could be for this baby (I really wasn’t, but that’s a story for another time). What they always seem to forget to mention is that babies turn into Toddlers – and most of us are NOT prepared for a Toddler! Do you know someone with a baby approaching toddlerhood? We’ve designed a test to check if they really are ready for what lies ahead. Introducing The Toddler Test! THE TODDLER TEST – How to know if you’re ready for the toddler invasion! 1. Get a box of Lego (go large and grab a 400 piece box). Proceed to throw approximately half under the couch. Grab another huge handful and place them between the couch cushions and just for good luck throw another handful under the TV cabinet. Leave them there…forever! 2. Grab a packet of crackers. Crush them. Throw the crackers over the back seat of your car. Throw a few more in the trunk for good measure. 3. Grab a box of random toys and books. Also throw these in the back of your car. Scatter some around the rest of your house too. 4. Take out all of your best clothes. Smush berries and pumpkin on them all. Yes ALL of them. 5. Throw away the CD’s in your car. Insert Wiggles CD. Hit repeat. 6. Change your TV channel to ABC Kids. Never turn it back. 7. Cook an amazing healthy and delicious meal for your family (that you know was their favorite meal yesterday). Get them to throw it on the floor and ask for a cracker instead. 8. Craft is fun. Throw some glitter on the floor. Vacuum it up every day. For a year. Finally accept that the glitter is here to stay. 9. Invite a good friend out for a catch up coffee. Enjoy your (mediocre) coffee in a café situated in the middle of a children’s play center. Try to chat over the sound of 100 children screaming, stopping every few minutes to answer to someone calling out ‘Mummy! 11. Have a friend follow you around all day yelling ‘Muuuuuuuuuuuuuummmmmmm’! 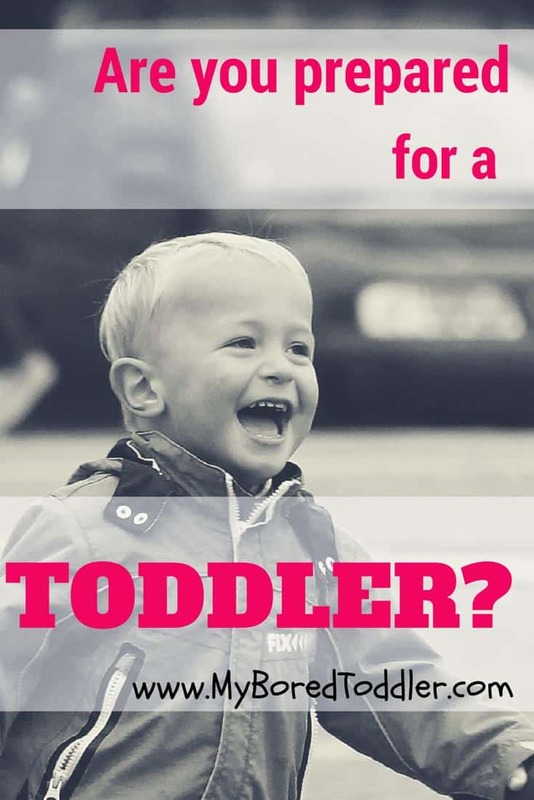 Do you have a toddler? If you don’t want them to be bored make sure you sign up to our newsletter for a weekly dose of activities to keep them busy. You can also follow us on Facebook, Twitter and Pinterest. Glad you can relate and that it’s not just me! Yes! Yes! Yes! Except my daughter wants the channel on Disney Jr. It’s sad when my husband and I get disappointed because we “already saw this episode of Doc McStuffins.” haha. I get excited when I see a new episode of shows we watch repeatedly. Yes – love your number #12!